A Final Plea: The World is Watching, Vote For Clinton! As we Americans head to the polls on Tuesday to choose our next President we shouldn't forget we are also choosing the next 'Leader of the free world'. The world is watching with bated breath. Americans may be faced with the starkest choice we have ever had. Our Democracy is on the line. Donald Trump exhorts us to move away from our immigrant heritage and celebration of our diversity. He wants to build a wall to keep Mexicans out and ban Muslims and other immigrants from entering the country. He doesn't understand immigration has grown our economy and we all benefit. He is dividing the nation; playing to the far-right with their goal of moving the country backwards. Back to a time when women were in the kitchen with no power, African American's didn't have equal rights, and the LGBT community was in the closet. This is the world Trump wants to recreate in America. He calls climate change a hoax and promises to reopen coal mines. Will cancel foreign trade agreements not understanding many American companies count on foreign buyers for their goods. He says he will rebuild manufacturing while he manufactures all his brands in foreign countries and buys foreign steel to build his hotels. President Obama in Florida rightly asks "Why would a man who spent seventy years caring about no one but himself suddenly care about you?" Trump grew up wealthy. Was given fourteen million from his father to start a business and went on to cheat every small business person who dealt with him. Trump is crude and crass having no compunction about using words in public that if our children used we would wash out their mouths with soap. He attacks and bullies women, the disabled, even denigrates a gold-star family whose son gave his life for our country. He is supported by the Klu Klux Klan and his alt-right supporters attack Jews and Muslims. Is that the role-model you want for your children? Hard to imagine any parent would want such a person as their President. Then there is Hillary. Many have said they don't like or trust Hillary. If you are one of them I ask you to think about why you feel this. As to liking her Oprah Winfrey recently said "you don't have to like her to vote for her she isn't coming to your house for coffee". As to trust, think about what you don't trust about her. Is it her private email server? Fact is, that private server will have zero impact on you, your family, your future, or the future of the nation. It has not been shown by anyone Hillary's emails have hurt any person or in any way or harmed the country. Is it Benghazi? Eight Congressional committees, nearly all led by Republicans, have investigated and told you it was not Hillary's fault these men died. The family of Ambassador Chris Stevens, who was killed in Benghazi, has said this was not Hillary's fault. Every other investigation into Hillary over twenty-five years has always ended showing she has done nothing wrong. Simple research can show you Hillary grew up in a middle class home and her father had a small business. She spent her lifetime working for children and families beginning at the Children's Defense Fund. She understands the Constitution and how government works. Yes today she is wealthy. But her money came later in life from her books and her speaking fees not like Trump's money which came from his father and cheating others. 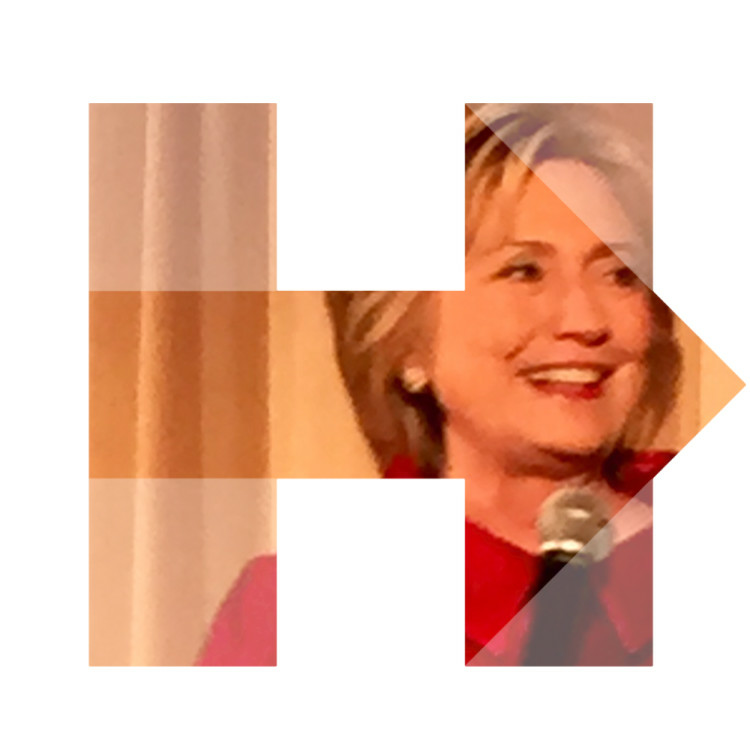 She has fought for women and girls to have the same opportunities as men and boys and equal pay for equal work. Any woman and any parent should want that for themselves and their children. One would think their reaction would be "It's about time". Then there is Hillary and the rest of the world. She has real relationships with leaders of the 112 countries she visited as Secretary of State. Many of those were first formed during her time as First Lady and deepened during her eight years in the U.S. Senate. Our allies trust her to keep our commitments to them whether supporting treaties such as NATO on mutual defense or on Climate Control to save our environment. The world's nations rely on the stability of the United States and its leadership to maintain the world's balance of power, economic security, their currencies, and keeping the peace. For the first time we have a presidential candidate, Donald Trump, willing to threaten all of that and withdraw the United States from its position of strength in the world. A candidate who touts the effectiveness of despots like Putin as examples of how he would govern. He wants a more isolationist America. He is saying to the rest of the world 'you be damned'. Charles Krauthammer, a rock-rib Conservative Republican columnist, wrote "Trump's liabilities, especially on foreign policy, outweigh hers." He went on to say "At a time of such tectonic instability, even the most experienced head of state requires wisdom and delicacy to maintain equilibrium. Trump has neither. His joining of supreme ignorance to supreme arrogance, combined with a pathological sensitivity to any perceived slight, is a standing invitation to calamitous miscalculation." When you vote on Tuesday please stop to think about all these things. If you have to, remember what Oprah said, "You don't have to like Hillary to vote for her". You simply have to look at the alternative, remember what he has said, to know he is unacceptable to us, our children and grandchildren, and is frightening to the rest of the world. You don't want to wake up on Wednesday morning and realize you were in any way responsible for foisting Trump on the world. We just may not survive it.